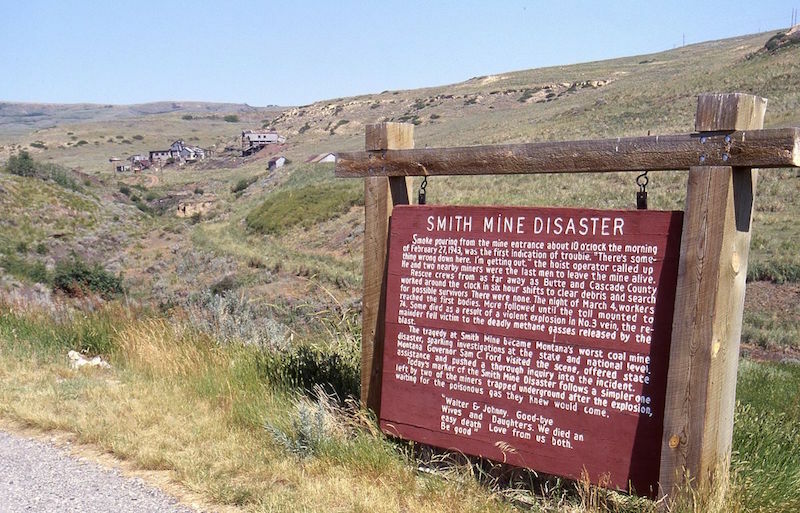 The worst mining disaster in state history occurred on February 27, 1943 at the Smith Mine in southcentral Montana. It occurred just after 9:30am when an explosion ripped through Smith Mine No. 3. The explosion occurred so deep underground that it was not heard from the mouth of the mine; although, it was strong enough that it knocked a locomotive off its track a quarter-mile away. 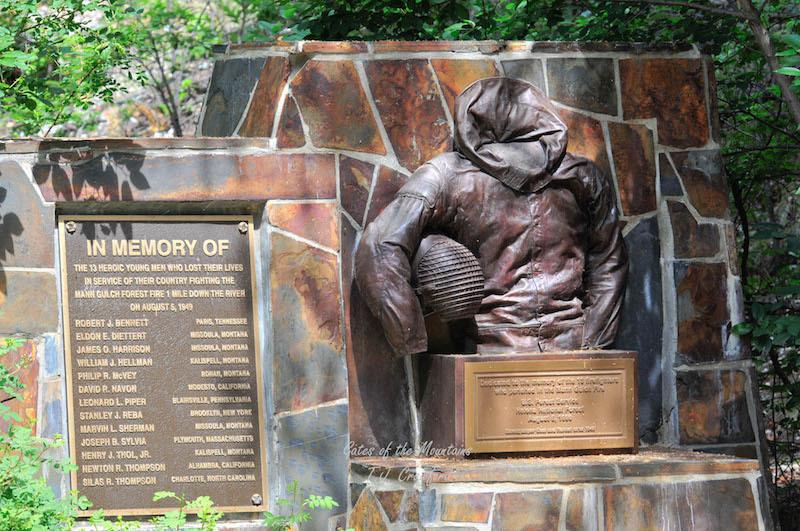 Of the 77 men working the mine, only three survived, and one rescue worker died in the process. On August 5, 1949, a wildfire was spotted in Helena National Forest. A recreation and fire prevention guard, James O. Harrison (a former smokejumper who had given up the dangerous profession for a safer one), was forced to fight the wildfire by himself for four hours while waiting for backup. In the end, it took 450 men five days to subdue the fire which had spread across 4,500 acres. Thirteen men died in the fire, including Harrison. 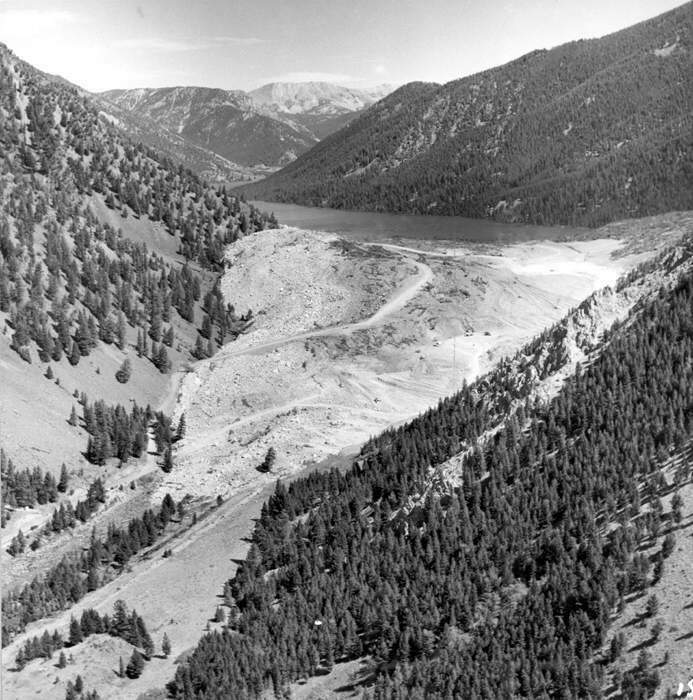 At 11:37pm on August 17, 1959, an earthquake measuring between 7.3 and 7.5 struck in Madison Canyon, west of Yellowstone National Park. Because it was summer and the location was in such close proximity to Yellowstone, campgrounds in the area were occupied with visitors, some of which were sleeping at the time of the earthquake. Landslides swept people and property away, wind blew over cars and trailers, and a seiche from Hebgen Lake flooded nearby campgrounds. Meanwhile, roads and highways around Hebgen Lake collapsed into the water. Fault scarps—some nearly 20 feet high—caused damage to other roads and structures. Evacuation and response to the disaster became difficult with roads cut off. The situation was exacerbated by the fact that telephone communications between Yellowstone and Bozeman had been severed. Altogether, $11 million dollars in damage was done and upwards of 28 people were killed.